“Rare Earth Geopolitics: A case of Economic Statecraft?” NYU Shanghai, April 8 2019. Energy Outlook 2019: The Year of Transition, Gulf Intelligence UAE Forum 2019 “Kick off 2020 – Countdown to the Presidential Election?” in conversation with Frank Luntz, Abu Dhabi, January 9, 2019. Workshop at Peking University November 24, 2018, “Global Environmental Visions and Governance: Perspectives on China’s Relationship with the European Union,” part of the 4th Scientific Forum of LMU’s China Academic Network (ChAN). “Geostrategic and Institutional Implications of the expansion of China’s belt and road initiative into the European Union,” Central Bank of Hungary, October 25, 2018, Budapest, Hungary. “Rare Earths Revisited: The US-China Trade War,” October 24, 2018, Budapest, Hungary. 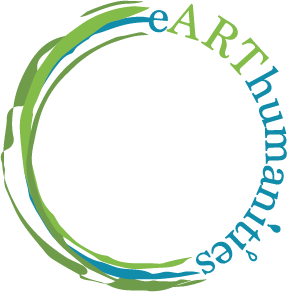 Environmental Humanities Summit, Schloss Hohenkammer GmbH, 29 June-1 July, 2018. Oberseminar, “History, Culture, Environment,” Studienhaus Gut Schönwag, Germany 4-6 May, 2018. “The Art of Conversation on Climate,” interview with Matthew Corcoran, NYUAD, February 28, 2018. Jean Monnet Network ‘The European Union, Africa and China in the Global Age’ (EU-EAC), “Training and Dialogue on Regional Integration”, Tuesday 27 February 2018, Kampala, Uganda. Author Meets Critics: National Hellenic Research Foundation, “Καινοτόμες τεχνολογίες, κυκλική οικονομία, σπάνιες γαίες και ο παράγοντας Κίνα για την Ελλάδα και τον κόσμο” (Innovative Technologies, the circular economy, rare earths and the China factor for Greece and the World), organized jointly by the Center for Research and Technology Hellas and the Institute of International Economic Relations, January 17, 2018, Athens, Greece. “Recurring Earthquakes and the Rebirth of Hope,” Workshop of Radical Hope, The Rachel Carson Center for Environment and Society, LMU, Munich, Germany, July 3, 2017. “OPEC and the Global Energy Order: From its Origins to the Present Time,” NYU Abu Dhabi, 18-20 April 2017. “Millennials Are Not Ready to Takeover Oil & Gas Industry from the Baby Boomers,” The 8th Gulf Intelligence UAE Energy Forum, Knowledge Debate Series, Abu Dhabi, UAE, January 11, 2017. “River Rights and the Rights of Rivers: The Case of Acheloos,” Rights of Nature in Transatlantic Perspective Conference, The Rachel Carson Center for Environment and Society, LMU, Munich, Germany, July 20, 2016. “Cherry picking migrants: The Talented and the Others,” ESCP Conference on the Race for Global Talent, Paris, June 8, 2016. “Η Αλλη Μέση Ανατολή: Η Ελλάδα και οι Χώρες του Περσικού Κόλπου,” (The other Middle East: Greece and the GCC), Ινστιτούτο Διεθνών Οικονομικών Σχέσεων (Institute of International Economic Relations), Athens, June 6, 2016. “China: How the environmental crisis makes transition to a low carbon economy the only way forward,” Academic Lecture, University of the Peloponnese, Jean Monnet Program of International Affairs, April 1, 2016. “Women in Energy: How to Accelerate Progress,” The Qatar SHELL IPTC 2015 Knowledge Series, Doha, December 2015. “The Mysteries of the Stymphalian Lake,” Piraeus Bank Group Cultural Foundation, Athens, October 2015. “China and the Geopolitics of Rare Earths,” Office of Strategic Affairs, Crown Prince Court, Abu Dhabi, March 2015. “Carbon Initiatives and Global Economy,” at the ‘The ADNOC WFES Knowledge Forum,’ Abu Dhabi, January 2015. “US-China Climate Change Agreement: Historic, Pivotal or merely a good headline?” Energy Developments in a changing world: Political, economic and legal realignments, Conference at NYUAD, January 2015. “The outcome of the Greek Elections and the ongoing Euro Crisis,” Boenning and Scattergood Lecture, January 2015. “Understanding the New Europe: Democracy and Politics”; “The History of the Formation of the EU”; “The Nature and threat of the Euro crisis and its impact on the European project “; “Europe-US: A frayed relationship that continues to matter”; “Climate Change: The Great ‘Asymmetric Threat’ of our generation”; “The Future of the European Project: Opportunities, challenges, dangers and growing public discontent”; Lectures for the Faculty Resource Network Seminar funded by a grant from the European Union, American College of Greece in Athens, Greece, January 2014. “How can the Energy Industry Help STEM the Global Talent Challenge?” The SHELL Knowledge Forum’ November 13, 2014, ADIPEC, Abu Dhabi. “Climate Change and the Global Debate on Green Growth,” University of Piraeus, Masters of Energy Program, Greece, October 2014. “Women in and of the World: Lessons in Leadership” joint lecture at the Brademas Center for the Study of Congress, NYU, with Michele Flournoy, former U.S. Undersecretary of Defense (2013). “America: Sustainable Development and Environmental Protection,” documentary series for China’s Dalian Television Channel 1 (DLTV-1), Fall 2013.